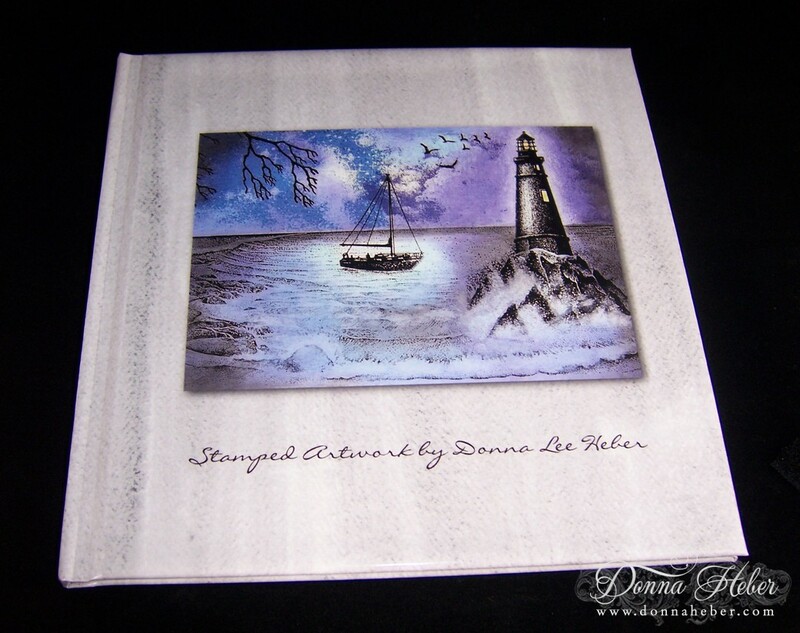 Today I would like to share with you a Shutterfly 8" x 8" photo book I created about a month ago as a Christmas gift. I had received an email with a discount coupon from Shutterfly which I just couldn't pass up! Originally, I thought I would use a themed template, but once I realized how easy the software was to navigate I decided to create my own backgrounds to compliment my stamped artwork. 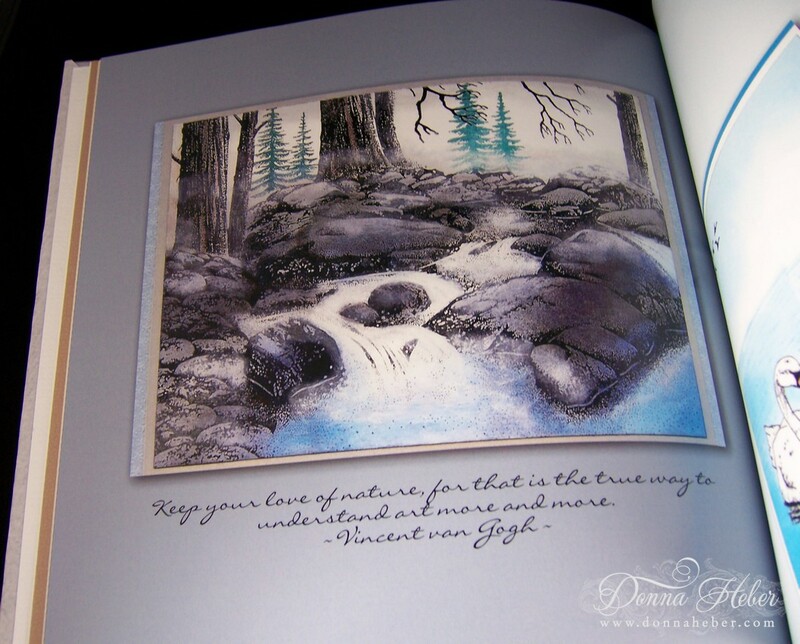 This book consists of 28 pages and has nature quotes on every other page to correspond with each photo. I must say the process, delivery time, and final product from Shutterfly are all top notch! 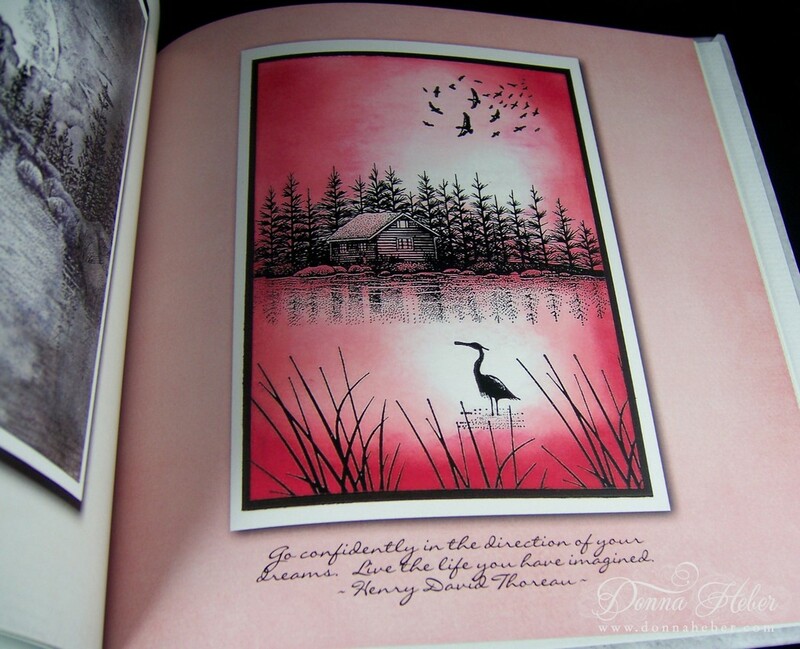 Here are some pictures of the finished book. 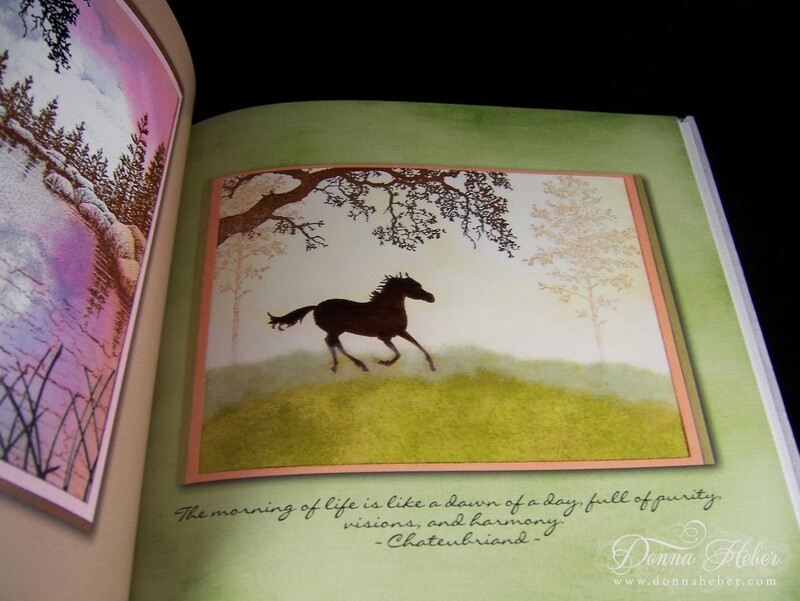 Have you created a Shutterfly photo book? If so, I would love for you to share your thoughts and/or tips by commenting on this post. Thank you for coming to visit me. Have a great day! Oh, my goodness! Donna, this is just fabulous. What a wonderful way to trap all your cards in one easy to store place. AND it is a finished piece of art in and of itself. I love it. Very, very beautiful. I must agree with Diana, this is so beautiful Donna- Art within Art! This is stunning Donna! Each one is a work of art, fabulous colors and coloring. Your album is beautiful! Thank you for sharing it with us. Wow, wow, wow Donna! 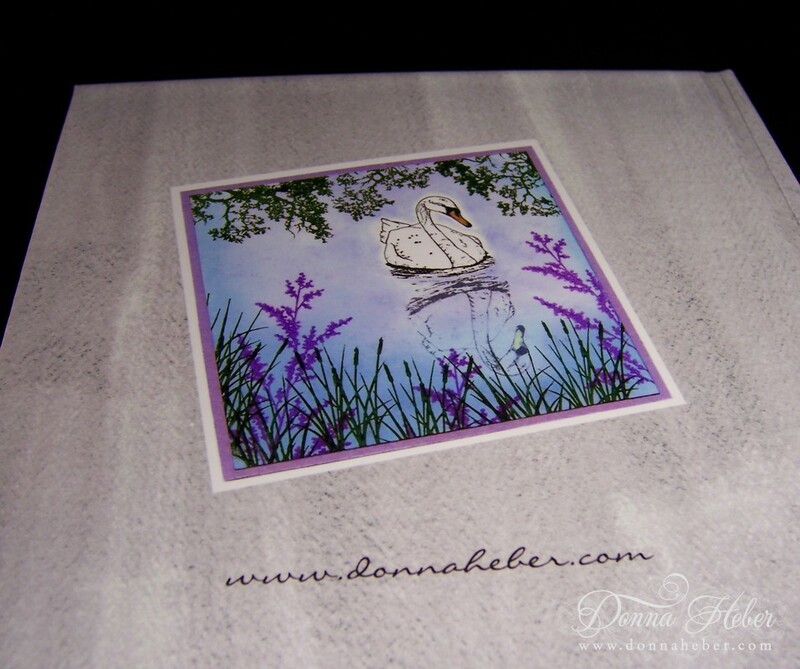 What a wonderful idea and a great way to showcase your gorgeous artwork! You are so talented! 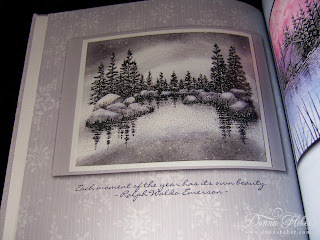 wow, wow, wow, wow, wow,this is beautiful, what a great idea to put your cards in a photobook. And also beautiful created, donna this is gorgeous. 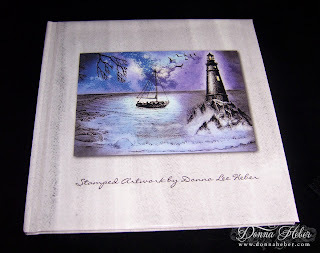 The book is just over the top gorgeous Donna! I swear.. you are the best landscape stamper I've ever seen!! The crane with the cabin in reds is one of my all time fav's!! Oh my! I am so impressed! WOWZA what a great idea! OMG! This is so stunning! What a treasure! Donna, what a great job you did with this. This is just wonderful. I am very impressed. Donna, this is beautiful, and such a heartfelt gift and work of art! I have not worked with Shutterfly at all, so can't comment on that, but this is pure loveliness!! Georgeous book! Shutterfly is awsome. i've used them to print photos but haven't tried the books yet. you just might have prompted me to try it out. Just beautiful - hope to use this idea for next year at Christmas time or a special occasion - thanks for sharing!! I love when I can get great ideas and learn new things from such talented people - your awesome. Jaw-dropping beautiful! Honestly......I am speechless! Happy New Year, talented friend! I have used Shutterfly many times to make books. The process is very simple. But, I would like to know how you made your own backgrounds. I never thought of using it to capture my own artwork though. Brilliant idea. And, gorgeous art work. Bev. Wow! Those cards look like paintings! Such a beautiful and stunning album! What an awesome idea!!!!!!! I love it. I'll have to check into this Shutterfly site. Your work looks amazing in this format. Great idea and a fabulous keep sake Donna!! Lovely art work!! Take care and STAY POSTIIVE! What a wonderful way to showcase your work! Great idea to place quotes on each page! This is soooooo gorgeous!!!! What a wonderful idea to show off these scenes. Your colors are so vibrant and the layouts subperb! Awesome work!! !